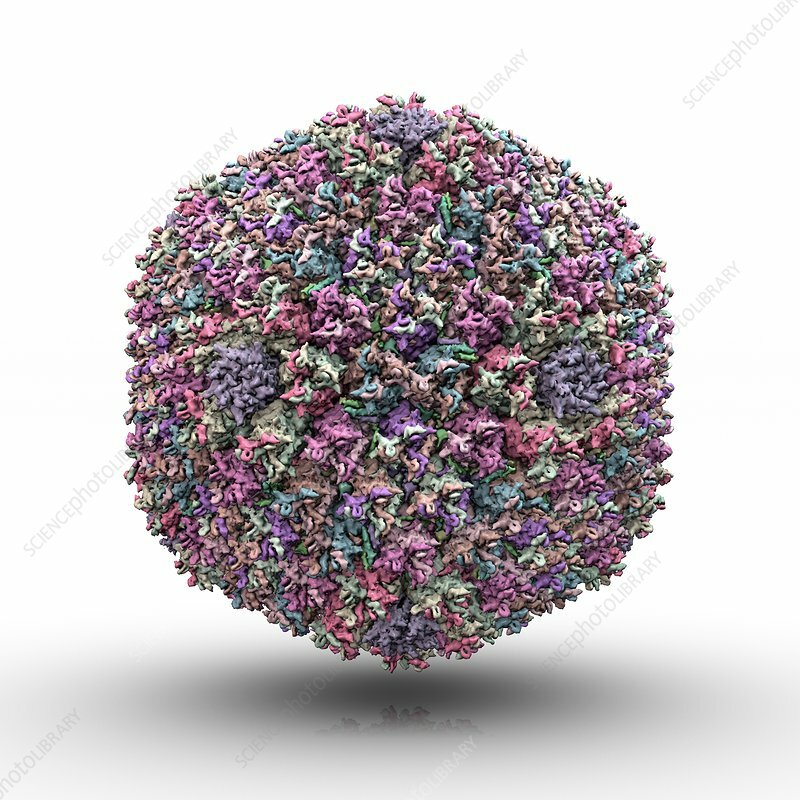 Adenovirus particle, computer artwork. Adenovirus particles (virions) are composed of a protein coat (capsid) encasing DNA (deoxyribonucleic acid), the genetic material of the virus. Adenoviruses cause a wide range of diseases, from respiratory infections to conjunctivitis (eye infections) or gastroenteritis (digestive tract infections).